I had never been to Philadelphia until my 28th birthday. I've never thought much of the city before I went, but now it is one of my favorite cities. I love hanging out in the historic district. I've been to Philadelphia three times, and I still haven't seen everything that I would like to see. Besides they downtown historic area, there are battlefields in the surrounding areas (like Brandywine and of course Valley Forge). 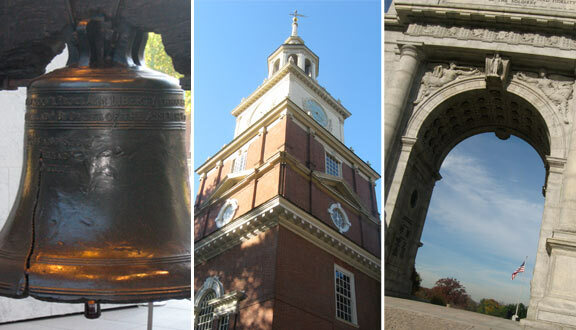 I admit a dream of mine is to spend the Fourth of July at Independence Hall. I think it would be cool to be at the actual birthplace of our nation on the Fourth. Check out the photo galleries below to see some of my pictures from Philadelphia.